Reverend Glen Archer, our champion spelling coach, seems to have died from chik-V complications. 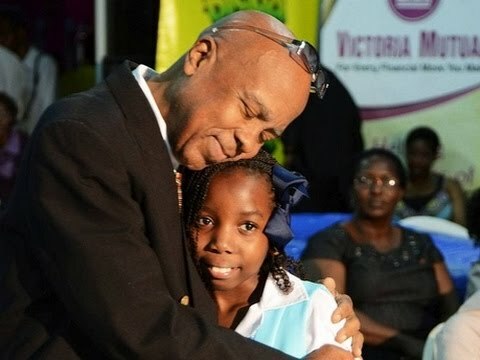 According to a Gleaner article published last Sunday, “He had been suffering from renal failure for the past five years, requiring dialysis two to three times per week. But his condition worsened in December when he got the Chikungunya virus”. I don’t suppose the ministry of health would count Reverend Archer’s death as chik-V-related. He was probably not a ‘confirmed’ case. But there is so much anecdotal evidence of death as a result of the virus. Why has the ministry refused to acknowledge the high number of suspected cases? And why has chik-V vanished from the news? It certainly has not left the bodies of its victims. Many of us are still suffering: fingers cramped up; feet hurting; constant pain all over with very little prospect of lasting relief. Chik-V is now chronic. It’s stale news. Apart from the announcement of Reverend Archer’s death and Dr Shane Alexis’ warning of worsening complications (‘Chik-V combo’, February 12, 2015), one of the most recent references to chik-V on the Gleaner web site turned up in Dr. Michael Abrahams’ amusing poem, “2014 Year in Review”, posted on January 5, 2015: “CHIKV pop dung almost everybody”. Dr. Abrahams’ estimate of the spread of the disease is much higher than that of the ministry of health. And probably far more accurate! 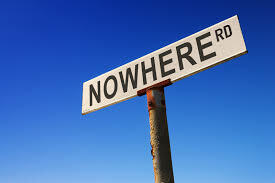 On the Observer’s website, the report on Reverend Archer’s death published last Monday also pointed fingers at chik-V. Before that, the latest reference to chik-V appeared in Mrs. Barbara Gloudon’s column, “From CHIKV to scepticism in the nation’s health care”, published on January 9, 2015. Neither Dr. Abrahams’ poem nor Mrs. Gloudon’s opinion piece is hard-core news. Mrs. Gloudon proposed that chik-V “could be regarded as one of the most disturbing events we have experienced in a long time”. And, as a veteran journalist, she fully understands how news works. So she adds: “One is tempted to brand it a nine-day wonder . . . . ” That’s the temptation the media, in all forms, must always resist – the big story that quickly burns out. Mrs. Gloudon doesn’t end her sentence there. She continues, “but it has turned out to be more than that”. Chik-V is noteworthy “for the sneakiness of its attack and how painful the hurt it brought us, the likes of which we had never known before. The pains still continue for many. “Last September, when out of nowhere it descended on us the minister of health soon became eligible for the unenviable title of most battered politician of the year. Beaten into submission by the growing tide of public disaffection over CHIKV, the national health system trembled”. But chik-V did not sneak up on us. It did not descend from nowhere. In 2011, the Pan-American Health Organisation (PAHO) and the Centers for Disease Control and Prevention (CDC) warned us that chik-V was coming. They jointly published a document, Preparedness and Response for Chikungunya Virus Introduction in the Americas. I don’t know when that document reached Jamaica. Unless it arrived after December 29, 2011, the Jamaica Labour Party would have been the government in office. Was the minister of health, Dr. Baugh, aware of the threat of chik-V? And, if so, what did he do about it? In an article published in the Observer on September 26, 2014, with the headline, “Baugh: Chikungunya now a full blown epidemic”, the former minister of health speaks out: “According to Dr Baugh, all the doubts raised by the Government in response to the Opposition’s complaints about the uncontrolled spread of chikungunya in Jamaica have now been erased. He accused the Government of being arrogant and out of touch with reality on the ground”. Dr. Baugh is right. But it’s a case of no better pork, no better barrel. Both the JLP and the PNP failed us. Chik-V should not have come on us like a thief in the night. The security guards should not have been sleeping on the job. I suppose the JLP government was too busy campaigning in 2011 to pay attention to chik-V. But what’s the ‘excuse’ of the present Government? 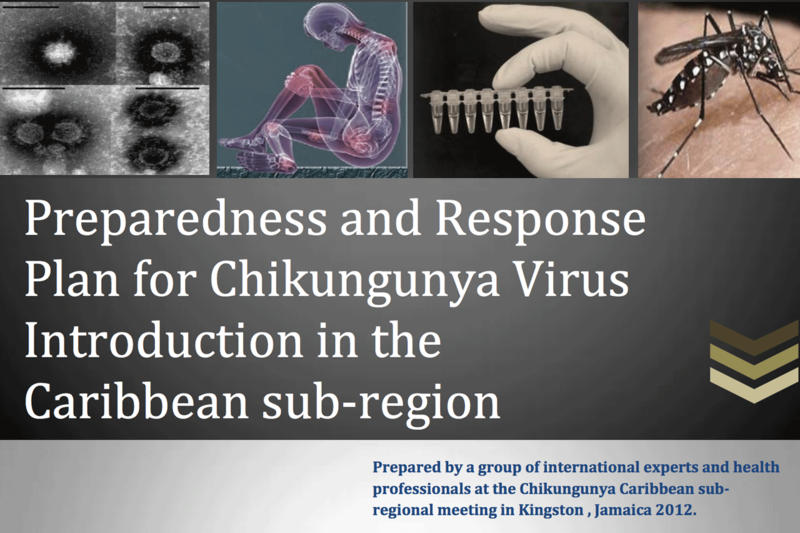 In May 2012, PAHO and the CDC put on a training workshop on chik-V at The Jamaica Pegasus hotel. Fourteen people from Jamaica attended that meeting. Did they spread the word? It doesn’t seem so. They should all be fired for negligence. I recently gave an old lady a ride to the University hospital. She thought she had chik-V. A friend of hers had recommended kerosene oil for the rash. After using it one time, she stopped. She didn’t like how her skin was looking. One of the tragedies of the chik-V epidemic is that the medical doctors had no idea how to help us. At first, they prescribed Panadol. And that was it. Then they added steroids to their bag of tricks. So we resorted to all kinds of self-medication: leaf of life, bizi, guinea hen weed, single bible, kerosene oil! On and on we experimented. If chik-V didn’t kill us, the combination of ‘cures’ certainly could. The doctor who tried her best to treat my unconfirmed chik-V told me recently that a new strain of the virus is on its way. And dengue is here as well. PAHO estimates that there may be more deaths from dengue than Chik-V across the Caribbean. Only God can help us. CHAKA-CKAKA SPELIN Miss Lou dead an gone. But wi naa figet weh shi do fi big up fi wi Jamaica culture. A she mek plenty a wi know seh wi no ha fi shame bout fi wi heart language. It a no no bad talking. A one good-good sinting. Wen wi long-time people dem did come from Africa, dem never get no chance fi walk wid dem bag an pan. Dem come wid dem two long hand. Tie up. A thief dem thief de man bring dem ya so. Dem never plan fi come. Still for all, dem bring nuff culture inna dem head cup. It did full up. Dem bring dem talent an dem skill. Dem a farmer, artist, doctor, lawyer, teacher, soldier, banker, cook, stylist – all kind a different-different profession. An dem bring dem whole heap a language from all bout. Wen di English people dem force on fi dem one dehgeh-dehgeh language pon di African people dem, dem dis twist it up, an bruck it up, an mix it up wid fi dem owna language dem. An dem mek up one new language. Jamaican. Tuesday gone, di first book weh write bout Miss Lou launch up a University of the West Indies, Mona. A Prof Mervyn Morris write it. An a Ian Randle Publishers bring it out. 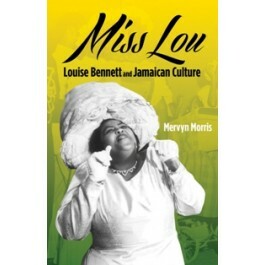 It name Miss Lou: Louise Bennett and Jamaican Culture. Prof Morris tell wi bout di whole a Miss Lou life. Den im talk bout how shi did act inna pantomine an shi write some a dem. An shi did collect up Anansi story. An shi do Ring Ding programme pon TV. An shi write nuff poem. 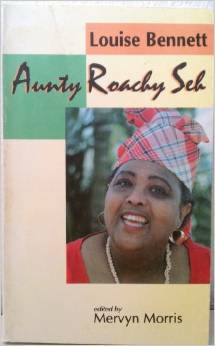 An Prof Morris tell wi bout Miss Lou an fi her Aunty Roachy weh did deh pon radio. 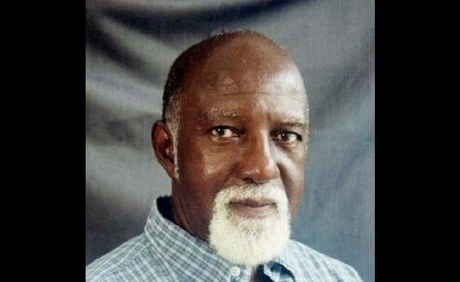 Di last-last ting Prof Morris tell wi bout a di dead lef. Wa Mis Lou call di ‘whole a heap a culture an tradition an birthright’ weh left fi wi. An a Prof Eddie Baugh launch di book. Im show wi seh a long time now Prof Morris did a study Miss Lou. 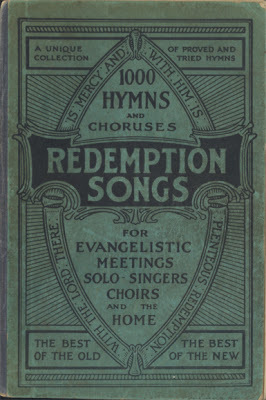 In a 1963, im did preach one sermon, ‘On Reading Louise Bennett, Seriously’. Yu see dat deh comma. It serious. It mean fi seh a no joke Prof Morris a joke. Im know seh wen certain people hear bout ‘reading’ Miss Lou, dem a go waan laugh. Dem no know seh Miss Lou write down her poem dem, fi instance. Dem tink she shi dis get up an chat. Nutten no go so. Wi ha fi understand seh Miss Lou sit down an tink bout wa shi a go get up an seh. Respect due! Den mi deh a Liguanea Plaza last year an one man pass mi an seh, “Miss Lou daughter”! It sweet mi so till. One a di ting mi find out in a Prof Morris book a dis: Miss Lou womb did tek out chruu it did a gi her problem. So shi couldn’t have no pikni. Well, mi know seh Miss Lou got nuff culture pikni an gran-pikni an great-gran-pikni. Give thanks! PRAPA-PRAPA SPELIN Mis Lou ded an gaan. Bot wi naa figet we shi du fi big op fi wi Jamieka kolcha. A shi mek plenti a wi nuo se wi no afi shiem bout fi wi aat langwij. It a no no bad taakin. A wahn gud-gud sinting. 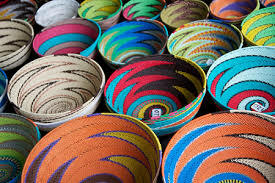 Wen wi lang-taim piipl dem did kom fram Afrika, dem neva get no chaans fi waak wid dem bag an pan. Dem kom wid dem tuu lang an. Tai op. A tiif dem tiif de man bring dem ya so. Dem neva plan fi kom. Stil far aal, dem bring nof kolcha ina dem ed kop. It did ful op. Dem bring dem talent an dem skil. Dem a faama, aatis, dakta, laaya, tiicha,suoja, bangka, kuk, stailis – aal kain a difran-difran profeshan. An dem bring dem uol iip a langwij fram aal bout. Wen di Inglish piipl dem fuos aan fi dem wan dege, dege langwij pan di Afrikan piipl dem, dem dis twis it op, an brok it op, an miks it op wid fi dem uona langwij dem. An dem mek op wahn nyuu langwij. Jamiekan. Chuuzde gaan, di fosbuk we rait bout Mis Lou laanch op a University of the West Indies, Mona. A Prof Mervyn Morris rait it. An a Ian Randle Publishers bring it out. It niem Miss Lou: Louise Bennett and Jamaican Culture. An Prof Morris tel wi bout di uol a Mis Lou laif. Den im taak bout ou shi did a kina pantomain an shi rait som a dem. An shi did kalek op anansi tuori. An shi du Ring Ding pruogram pan TV. An shi rait nof puoem. An Prof Morris tel wi bout Mis Lou an fi aar Aunty Roachy we did de pan riedyo. Di laas-laas ting Prof Morris tel wi bout a di ded lef. Wa Mis Lou kaal di ‘whole a heap a culture an tradition an birthright’ we lef fi wi. An a Prof Eddie Baugh laanch di buk. Im shuo wi se a lang taim nou Prof Morris did a stodi Mis Lou. In a 1963, im did priich wahn sorman, ‘On Reading Louise Bennett, Seriously’. Yu si dat de kama. It siiryos. It miin fi se a no juok Prof Morris a juok. Im nuo se wen sortn piipl ier bout ‘reading’ Mis Lou, dem a go waahn laaf. Dem no nuo se Mis Lou rait dong aar puoem dem, fi instans. Dem tingk se shi dis git op an chat. Notn no go so. Wi a fi andastan se Mis Lou sidong an tingk bout wa shi a go get op an se. Rispek juu! Dis ya Torzde, Prof Morris an Prof Baugh a go de pan NewsTalk 93FM a taak bout di buk. A di pruogram “Big Tingz a Gwaan”, we mi an di yuut Tyane Robinson du. It braadkyaas 4:30 in a di aaftanuun. An it kom aan bak pan Satide 3:30. So unu fi chrai kech it. Wi taak in a suoso Jamiekan. Den mi de a Liguanea Plaza laas ier an wahn man paas mi an se, “Mis Lou daata!” It swiit mi so til. Wan a di ting mi fain out in a Prof Morris buk a dis: Mis Lou uum did tek out chruu it did a giar problem. So shi kudn av no pikni. Wel, mi nuo se Mis Lou gat nof kolcha pikni an gran-pikni an griet-gran-pikni. Giv tangks! Miss Lou is dead and gone. But we won’t forget what she did to celebrate our Jamaican culture. She is the one who made a lot of us understand that we don’t have to be ashamed of our heart language. It’s not talking bad. It’s a very good thing. 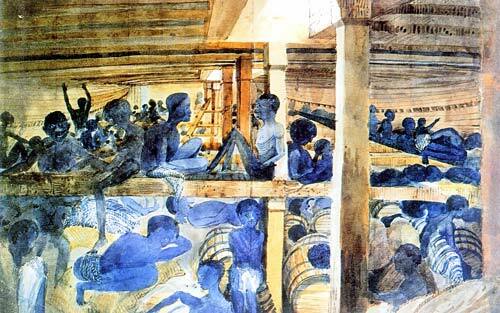 When our ancestors came from Africa, they didn’t get the chance to bring all their belongings. They came empty-handed. And their hands were tied. They were abducted and brought here. They hadn’t planned to come. All the same, they brought lots of culture in their heads. Full to the brim. They brought their talents and skills. They were farmers, artists, doctors, lawyers, teachers, soldiers, bankers, cooks, stylists – all kinds of different professions. And they brought a whole variety of languages from the continent. When the English people imposed their single language on the Africans, they twisted it, an mangled it up, an mixed it up with their own languages. And they created a new language. Jamaican. Last Tuesday, the first book to be written about Miss Lou was launched at the University of the West Indies, Mona. Prof Mervyn Morris is the author. And it was published by Ian Randle Publishers. The title is Miss Lou: Louise Bennett and Jamaican Culture. Prof Morris tells us all about Miss Lou’s life. Then he focuses on her career. She acted in pantomimes and she even wrote some of them. And she collected Anansi stories. And she hosted the Ring Ding programme on TV. And she wrote lots of poems. And Prof Morris tells us about Miss Lou and her Aunty Roachy who were on radio. The very last thing Prof Morris talks about is legacy. What Miss Lou herself described as all of that culture and tradition – the birthright – that’s left for us. And it was Prof Eddie Baugh who launched the book. He said Prof Morris has been studying Miss Lou’s work for a very long time. In 1963, he preached a sermon, ‘On Reading Louise Bennett, Seriously’. That comma is very significant. It means that Prof Morris really isn’t joking. He knows that when certain people hear him say ‘reading’ Miss Lou, they’re going to want to laugh. They don’t know that Miss Lou wrote her poems, for instance. They think she just got up and chatted off the top of her head. That’s not so at all. We have to understand that Miss Lou sat down and thought about what she was going to get up and say. Respect due! Then I was at the Liguanea Plaza last year and a man passed me and said, “Miss Lou daughter”! I was so amused! One of the things I found out in Prof Morris’ book is that Miss Lou had had a hysterectomy because she’d been having lots of problems. So she couldn’t have children. Well, I know that Miss Lou has lots and lots of culture children and grand-children and great-grand-children. Give thanks! If you don’t remember the fairy tale about Rapunzel, here’s how the story goes. A man and a woman live next door to a wicked witch. Maybe, she was just a lonely old woman. But this is a fairy tale, so she has to be a witch. The ‘normal’ woman gets pregnant and starts to crave rapunzel, a plant that grows in the witch’s garden. It has a beautiful flower and the leaves and root are edible. The man steals a plant and is caught by the witch. He begs for mercy and she proposes to let him off on condition that the couple give her their child. Yu see how she wicked! Or lonely. The poor man agrees. His wife gives birth to a beautiful girl and the witch claims her prize. She calls the child Rapunzel. As the little girl grows, so does her hair. She ends up with long, golden hair. This is going to be a big problem. When she turns 12, the witch locks her up in a tower in the middle of the forest. There are no stairs and no door, just one window. I suppose this fairy tale is a warning about what happens to girls at puberty. They end up trapped by wicked witches who are afraid that the girls will get pregnant – especially if they are beautiful and have ‘tall’ hair. Sometimes, the wicked witch is the girl’s own mother. Rapunzel’s only visitor is the witch who would give this command: “Rapunzel, Rapunzel, let down your hair so I can climb the golden stair.” What a stress on poor Rapunzel! Her golden hair becomes a ladder. Can you imagine the pull on her scalp! Of course, since this is a fairy tale, one is not supposed to raise these practical questions. But I think this story is quite subversive. It suggests that beauty can be a terrible burden for women. Anyhow, the story gets better. You know there has to be a prince to rescue the damsel in distress. He comes riding through the forest and hears Rapunzel singing. He falls in love with her voice but can’t figure out how to get up to the tower. Then the wicked witch comes and he learns the magic words. In his case, letting down Rapunzel’s hair is foreplay. Next thing, the prince climbs up and in two twos Rapunzel is pregnant with twins. Locking up girls isn’t a reliable contraceptive if there’s a prince on the loose. It’s the boys who should be locked up. When the wicked witch finds out that Rapunzel is in the family way she cuts off the golden hair and casts the disgraced young woman out into the wilderness. A familiar fate for pregnant teenagers! 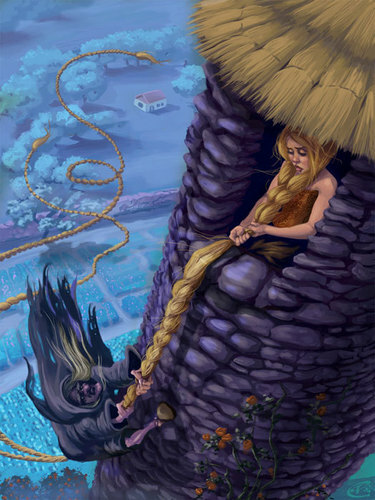 The witch sets a trap for the prince who comes climbing up Rapunzel’s detached hair – now a weave. So many men have been caught by weaves! The witch pitches the prince down to the ground and he falls on thorns and is blinded. I suppose this is his punishment for impregnating Rapunzel. The prince wanders around the forest for months. He eventually hears Rapunzel singing and is reunited with her and his children. Rapunzel starts to bawl and her tears of joy cure his blindness. And they go off to his palace where they live happily ever after. So what’s the moral of this improbable story? On her return to Jamaica, Kaci Fennell did an ‘On Stage’ interview right at the airport. Naturally, she was asked about the short hair affair. Her response was beautifully plain and simple: “This is how I look best. 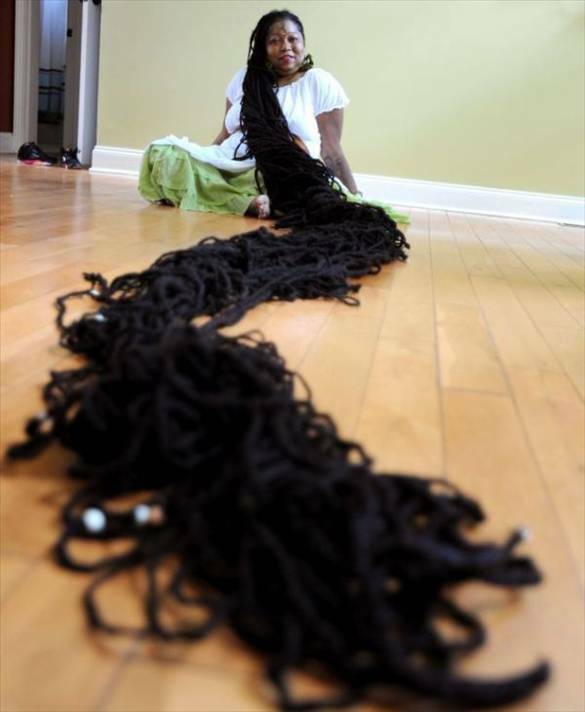 And if this is not what they wanted, then it just wasn’t for me.” I wish more Jamaican women could be sensible enough to realise that ‘tall’ hair can’t make them beautiful. In fact, some weaves are downright ugly. Dutty Berry has been nominated for a Youth View award in the category Favourite Breakout Celebrity for 2014. With lyrics like that, he’s a sure winner. Unless he’s trumped, like Kaci.